Vatican City, Sep 14, 2018 / 04:00 pm (CNA).- Following the allegations made by Archbishop Carlo Maria Viganò about the case of Archbishop Theodore McCarrick, many have called for official Vatican files on the former cardinal to be released. While this may seem like the easiest way of assessing the truth of Viganò’s claims, many of the documents in question could be protected by the “pontifical secret.” But what is that? The pontifical secret, also sometimes called papal secrecy, is a rule of confidentiality protecting sensitive information regarding the governance of the universal Church. 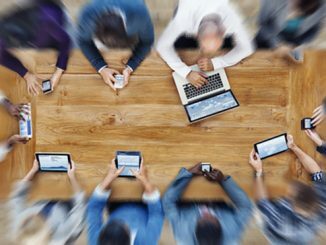 It is similar to the “classified” or “confidential” status common in companies or civil governments. According to the “Secreta continere,” a canonical instruction issued by the Secretariat of State in 1974, those bound by the pontifical secret take an oath at the beginning of their service in the Curia or the diplomatic corps, promising to “in no way, under any pretext, whether of greater good, or of very urgent and very grave reason,” to break the secret. Materials covered by the pontifical secret include diplomatic communications made between the Vatican’s nunciatures around the world, but also apply to a range of other subjects. These include private dossiers and recommendations on priests and bishops being considered for promotion. Controversially, the secret also covers penal processes concerning major crimes handled by the Congregation for the Doctrine of the Faith, including cases involving the sexual abuse of minors. The reasons why the secret is applied to different materials depend upon the circumstances. Private communications between what are effectively papal embassies and the Vatican’s Secretariat of State are protected by confidentiality in the same way, and for the same reasons, that other diplomatic correspondence is kept classified. 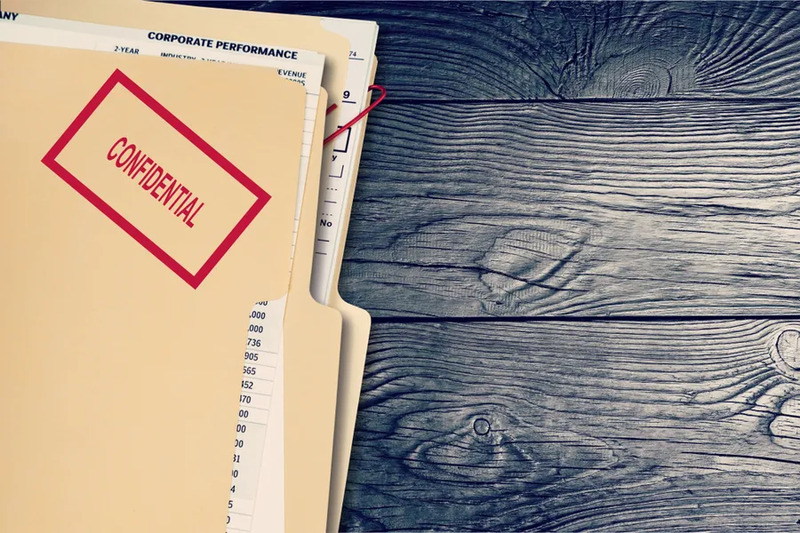 Files pertaining to bishops or prospective bishops are handled in much the same manner as confidential personnel matters are treated in companies or other institutions. In judicial cases, the secret is meant to protect the privacy of victims, the good name of the accused (at least until they are convicted), and even the confidentiality of the accusers, who might be under the authority of someone under investigation. Concerning the case of Archbishop McCarrick, Vatican files could conceivably contain materials covering all of these categories. In addition to possible penal processes and the circumstances surrounding his various promotions – including what was known about his behavior at different times – records could also concern any work undertaken by McCarrick as a papal envoy in different places including, for example, China. As the name “pontifical secret” implies, it is only the pope – or someone empowered by him – who can dispense from it. Those hoping for curial officials to act on their own initiative, even for the supposed good of the Church, are likely to be disappointed. If they were to do so, they could find themselves subjected to disciplinary measures in the same way that any government official might if they were to release classified documents without authorization. The seriousness of any violation of the secret by curial officials in relation to McCarrick’s case would depend on the nature of the material disclosed. Fr. Pablo Gefaell Chamochín, a canon lawyer and professor at the Pontifical University of the Holy Cross in Rome, told CNA that if a person is judged to have acted in violation of pontifical secrecy, he or she could be subjected to punishment. Canon law does not establish a specific penalty for a violation of the secret. It would be left to the discretion of the competent Vatican authority to decide what the appropriate punishment would be for a particular violation, Gefaell clarified. Regarding the potential release of any documents relating to Archbishop McCarrick, potentially held either at the apostolic nunciature in Washington, D.C. or at the Congregation for Bishops in Rome, it is Pope Francis alone who could order their effective declassification. Until the pope decides otherwise, it is unlikely that Vatican officials bound by oath to observe the secret will be making any new documents available. Rome, Italy, Nov 16, 2018 / 06:27 pm (CNA).- Catholic leaders are open to discussing with the Italian government a court ruling saying Italy has the right to recover millions of dollars from the Church from a previous tax exemption. Vatican City, Jul 18, 2017 / 11:48 am (CNA/EWTN News).- One year after Vatican City charged a priest and a laywoman in the second “Vatileaks” trial, it has begun a legal process against two laymen accused of misallocating funds from the Vatican-owned children’s hospital, Bambino Gesu. The hearing, which began at 10 a.m. inside the Vatican July 18, focused on charges brought against the former president and treasurer, respectively, of Bambino Gesù, Giuseppe Profiti and Massimo Spina. The Vatican announced July 13 it was charging the two with illicit use of hospital funds in the amount of more than 422,000 euro ($480,000) for the refurbishment of the apartment where Cardinal Tarcisio Bertone, emeritus Secretary of State, lives. The alleged crime is said to have been carried out between November 2013 and May 28, 2014, and to have benefited the construction firm of Italian businessman Gianantonio Bandera, which was carrying out the renovations. Profiti and Spina were summoned to appear before the court by a June 16, 2017, decree from the president of the Vatican Tribunal, Giuseppe Dalla Torre, with the first hearing set for July 18. During the hearing, Profiti and Spina were accompanied by their lawyers: Antonello Basi for Profiti, and Alfredo Ottaviano for Spina. The judicial board was made up of Paolo Papanti Pelletier, president, Venerando Marano, judge, and Carlo Bonzano, judge. The office of the Promoter of Justice was represented by the promoter himself, Gian Piero Milano, and by an added promoter, Roberto Zannotti. After the charge was read, the lawyers made an initial request that journalists be removed from the courtroom due to noise and pressure put on the defendants from their affirmation or dissatisfaction with the proceedings, suggesting that in the future, they be placed in a separate room to watch a live stream of the hearing. Milano refused the request, insisting it is a public hearing, and that public interest itself demands that the process be public. A second objection the lawyers brought, but which was also immediately dismissed, was that the Vatican had no jurisdiction over the case, since the headquarters of Bambino Gesu is located in a piazza that is not Vatican-owned, and because the money was sent to England. However, both Milano and the tribunal affirmed that the offense happened the moment the transfer was made, and since it was done through an APSA account, it was therefore a Vatican offense. APSA, the Administration of the Patrimony of the Apostolic See, oversees the Vatican’s real estate and investments. Ottaviani and Basi also argued that the defendants are not public officials, given their work for the Vatican. However, it was ruled that in the Vatican’s statutes and laws, the definition of a public official does, in fact, include the responsibilities of Profiti and Spina. The lawyers also requested that in future proceedings, all witnesses be called on the same day in order to avoid influence and pressure from the media, which was agreed on by everyone. Finally, at the request of the witnesses, a letter that in some way involves Cardinal Bertone was added to the trial documents. The hearing closed by setting the dates for the next one: Sept. 7-9. Among those present at the hearing from the public was Jeffrey Lena, legal adviser to the Holy See. The Vatican reported it was conducting an investigation into this matter in 2016 after documents published in the “Vatileaks 2” scandal implicated there may have been an illicit transfer of funds from the hospital’s foundation. Earlier this month, the Vatican held a press conference on the hospital to confirm that though it has had problems in the past, the Vatican has worked to resolve them. The operations of the Bambino Gesù Hospital had come under scrutiny after a report by the Associated Press, which examined the hospital’s operations under its 2008-2015 administration, finding among other things that the Vatican-owned hospital had shifted its focus from its patients to profits and had subpar standards of care. In 2014, the Vatican conducted its own report on the hospital after fielding several complaints, and found many of the same things, including a focus on profits and breaches in accepted medical protocols including the reuse of disposable equipment, early awakening from surgery, and risk of infection due to overcrowding. After the report, a widespread overhaul of the hospital staff and administration was conducted, and a 2015 report found that many of the previous issues had been resolved. “For what regards the problems that were found, there was serious attention and effort to resolve them,” Cardinal Pietro Parolin, Secretary of State, said at the July 4 press conference. 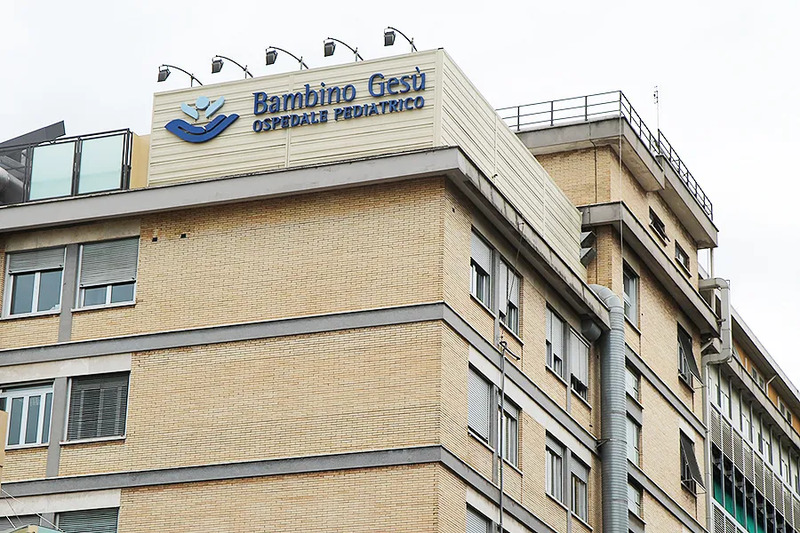 The Bambino Gesù was founded in Rome in 1869 as the first pediatric hospital in Italy. In 1924 it was donated to the Holy See and became the “Pope’s Hospital.” While it receives funding from the Italian government, it does not fall under the jurisdiction of the Italian government’s health authorities. The old joke, of course, is that “Pontifical Secret” means that everybody knows, but not the Pope.